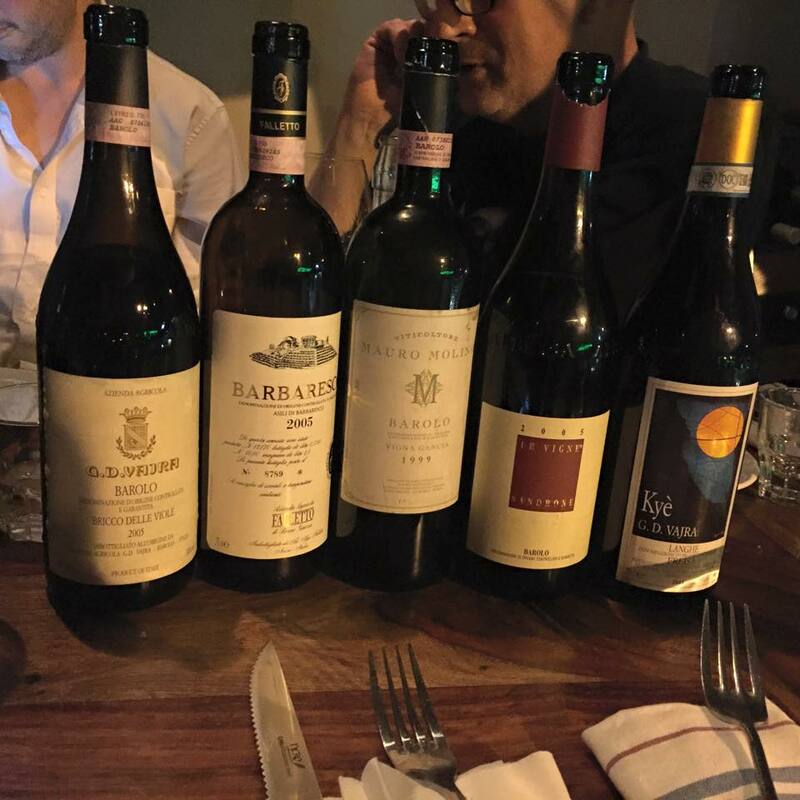 This started out, as these things often do, with an enterprising friend with an itch for Piedmont and a bottle of Barolo to scratch it with. The entrepreneur sent an email to a group emphatic towards his needs. One thing led to another and finally, there we all were in the private dining niche in the Brut wine bar, a minuscule establishment with a giant heart and heartwarming cuisine. Spicy, dusty, with a green bitterness I thought it first to be oak - but I'm thinking, after the fact, might be the grape (Freisa, which is apparently Nebbiolo's country cousin). The greenness is drying at first, but in time, the package becomes idiosyncratically tasty with lovely acidity and hints at future complexity, if not necessarily depth. Imported by Dani Galil, 150 NIS. A fine balance here between a rusty nose and tannins and ripe fruit with a light funk. This is a big, ironclad wine, with juicy acidity and a long, elegantly tannic finish. Needs a decade. Elegant and a little smoky, embellished by roses. Very fresh and the acidity, while no less high than that I find in the other wines in the lineup, is seamlessly integrated. No rust here but no gloss either. Wine of the night. Dani Galil again, 320 NIS. A classic nose, complex and deep with spicy black cherries, meanwhile the palate is represented by savory, rusty tannins. Quintessential Piedmont magic highlights the most immediately pleasing wine of the night. Wine Route, purchased for 249 NIS eight years ago. Molino was dropped off the portfolio some years ago. At this time, this is a monolithic stumbling block: ripe, modern with just a hint of typical Nebbiolo spices that grows stronger. Good tannins with rust on the fringes. Possibly hints at future complexity and mystery, and with time becomes more rusty beneath the ripe fruit, a development which serves it well. Wine Route again, price unknown.